When I was a kid, there were a few things in the record store I was sure were going to make me rich someday. The first of these were picture discs and colored vinyl. Next came imports, bootlegs, and alternative album covers. Then there were promos, and finally picture sleeve singles. And so over the last several decades I’ve hauled tons of vinyl all around the country, most of which is still worth about what I paid for it. Never take investment advice from a record collector. But unlike stocks and bonds, at least when you make a cruddy record investment you still have a cool song or two to listen to, and a good sleeve to stare at. 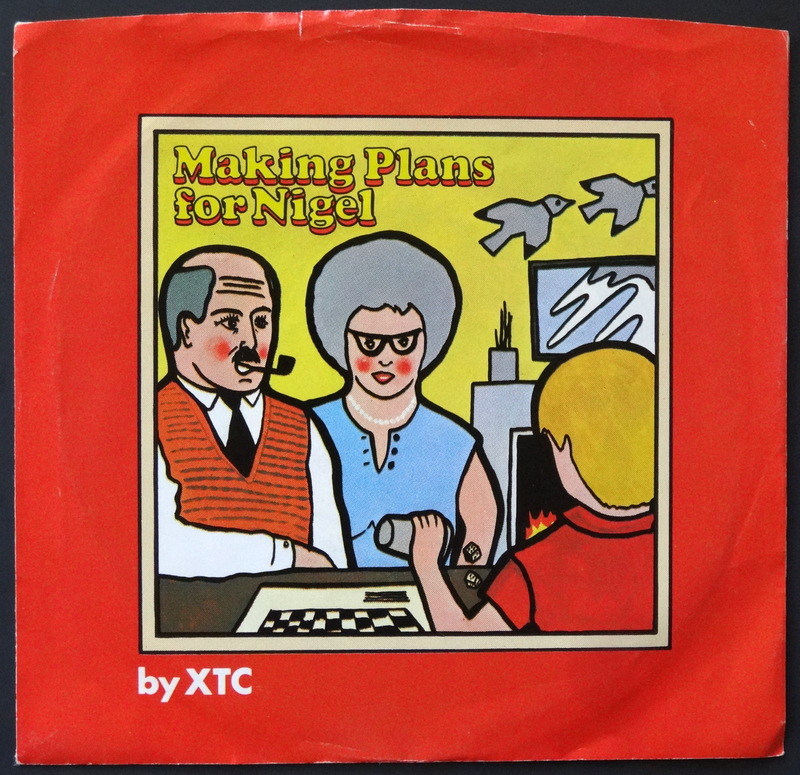 XTC’s “Making Plans For Nigel” certainly qualifies on both accounts. 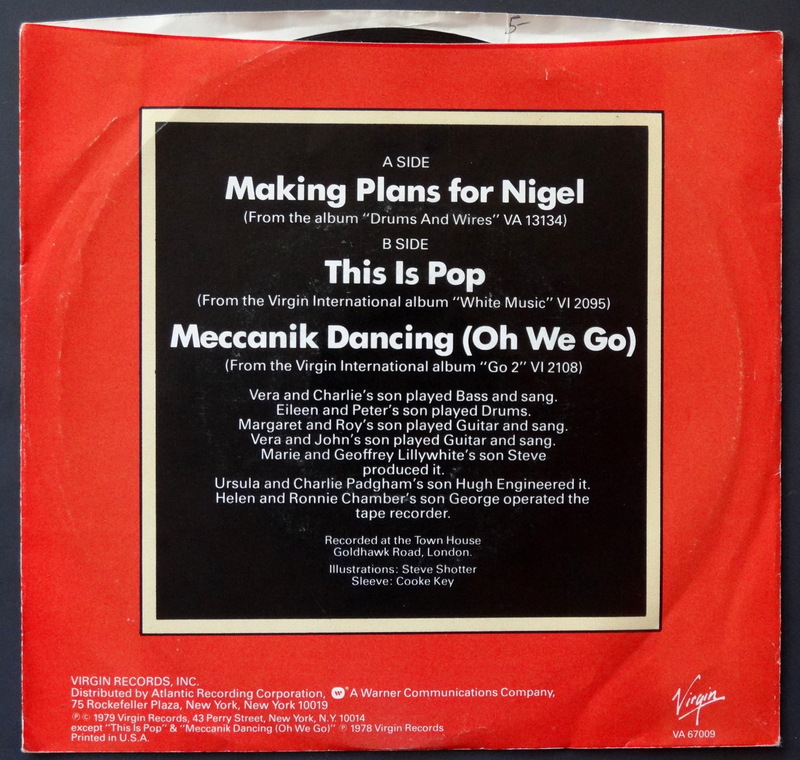 What’s interesting about this particular copy is that it’s a white label promo with a stereo mix of “Nigel” on the A-side and a mono mix on the B-side. 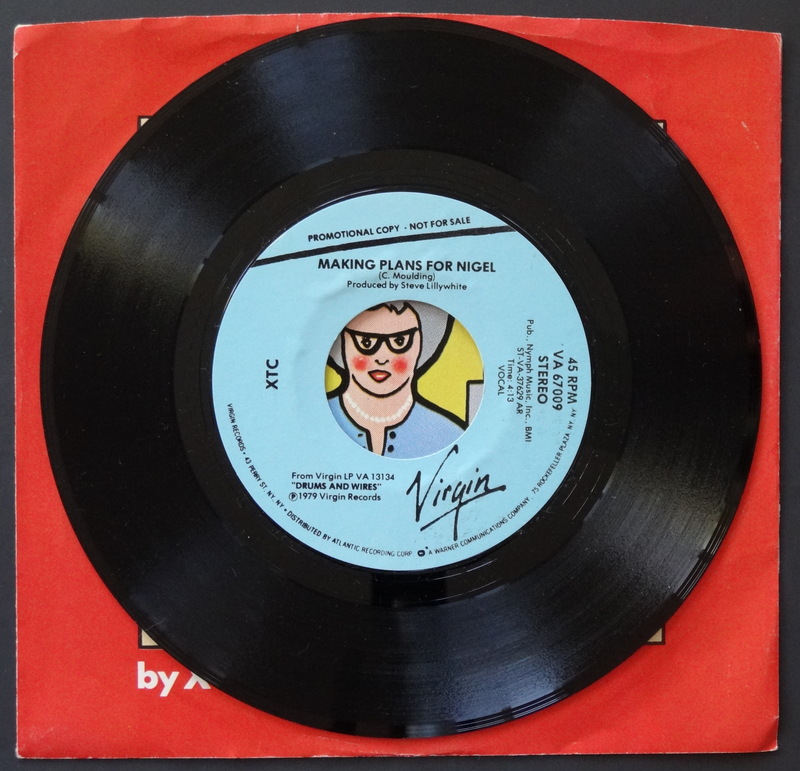 When this was released in 1979 mono was long out of fashion, so why the band and/or the label hit upon this idea for a promo is a bit of a head scratcher. 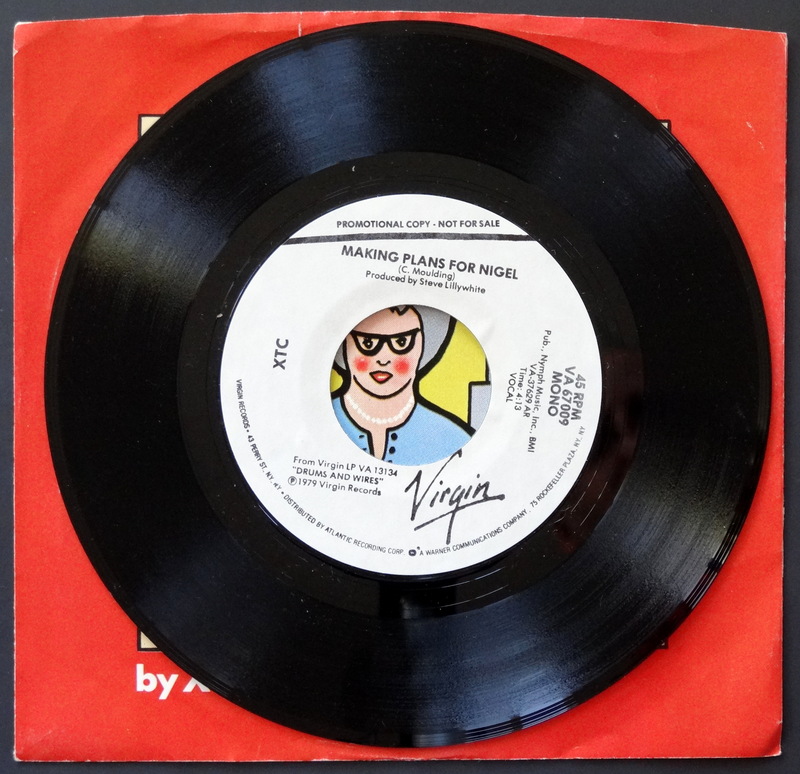 Also interesting: Virgin didn’t print up a special sleeve for the promo, just slid them into the commercial version, leaving recipients wondering where the hell the two B-sides went. But XTC never did anything the normal way. That’s part of what made them so great. Expect to pay 5-10 dollars for a promo copy vs. a buck for the commercial version. Who knows? Maybe you can sell your copy in 40 years for a fortune. Happy hunting. Thanks, Mark. “Bumper” looks great!